Advanced Air Systems, Inc. is a full service heating and air conditioning contractor serving Vancouver, WA and surrounding areas with high-quality, affordable central air conditioning installations.. Along with the beautiful, sunny days of summer comes the sweltering, uncomfortable nights inside our homes. That is unless you have the cool, reliable comfort that an American Standard Central Air Conditioner can bring to your home! You can provide the whole family with the comfort they deserve by adding an energy-efficient, central air conditioning system and it doesn’t have to cost an arm and a leg! Whether you choose the top-notch Platinum Series, the reliably efficient Gold Series or the hard-working and durable Silver Series, rest assured that you’ll get the same high-quality craftsmanship from every air conditioner that bears the American Standard name. Consistently rated #1 for reliability by Consumer Reports, choosing to install an American Standard Air Conditioner is a smart long-term investment in your home and your family! When comparing air conditioners, pay close attention to the SEER, or Seasonal Energy Efficiency Ratio. It’s a measure of how efficiently an air conditioner cools your home in the summer. Similar to miles per gallon in a car, the higher the SEER, the less energy you’ll use to stay comfortable. Why Choose Advanced Air Systems As Your Air Conditioning Contractor? 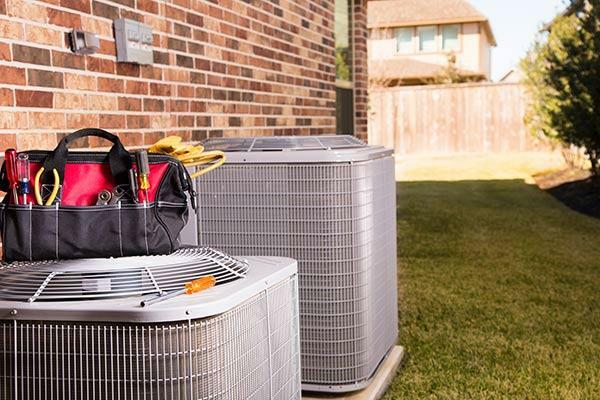 Choosing the right contractor to install your air conditioner is as important as choosing a reputable brand of equipment. Proper installation and maintenance is vital to the life expectancy and reliability of any piece of machinery. Beyond the great products we offer, you will notice from the moment you call to schedule your free air conditioning estimate that our greatest strength is the fantastic staff in our office and in the field that truly care about the work we do. We understand that to find success in business is to build long-term relationships with customers who are so happy with our service that they are comfortable recommending us to friends and family. You can experience this commitment for yourself by calling to request an appointment for a free in-home estimate with one of our knowledgeable Comfort Consultants. They will be able to answer your questions about air conditioning, help you find the best solution for your home and provide you with a quote for installing air conditioning in your home, at no cost to you.